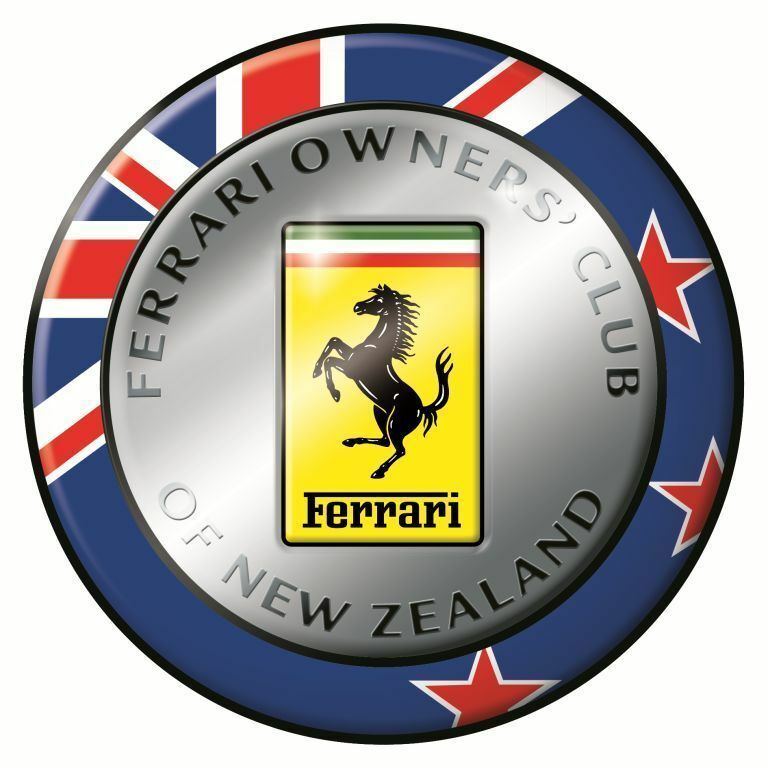 The 2015 Ferrari Family Fun Day - in conjunction with Kids In The Community Charitable Trust. 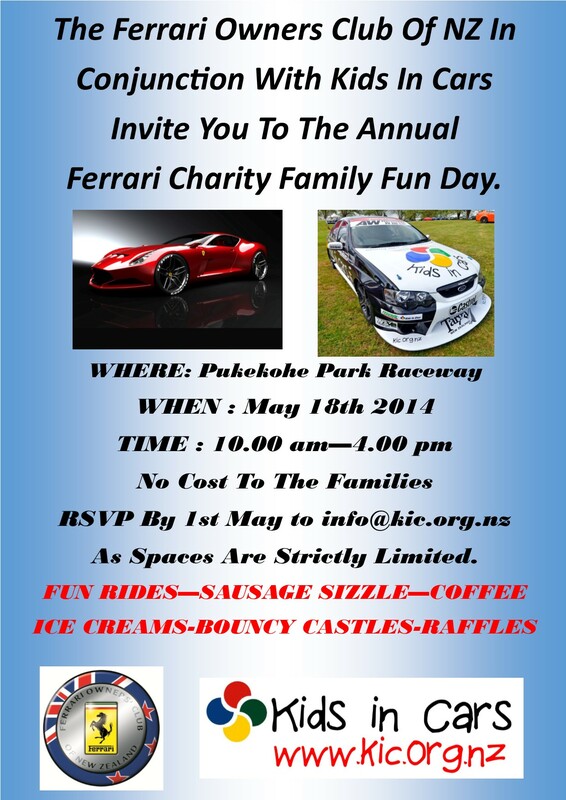 Description: Description: Charity Day 2015 Places are limited so act now - dust off the driving shoes, put on the overalls, get out the helmet, dream about 200 down the back straight……….well it is not quite like that but the next best thing and there is a new chicane ¾ of the way down and we will right after V8 Supercars so track will be fantastic. 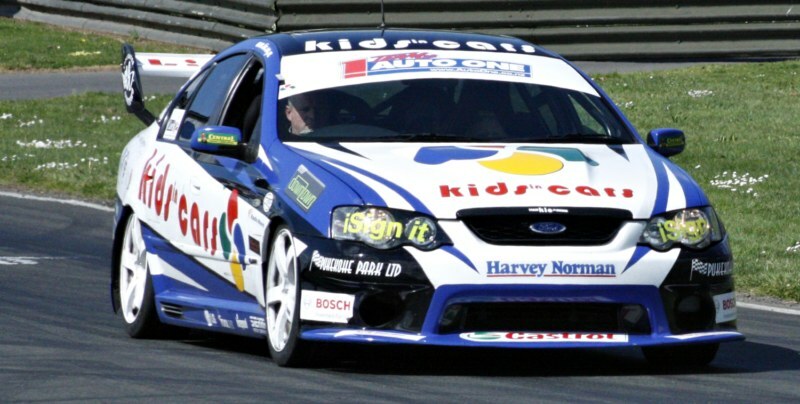 This is a highlight of the calendar year where we have complimentary use of the Pukekohe race track and as part of our day take Kids in Cars Charity participants for a race around the track. If you haven’t been before this is super fun and you can go round as often or as infrequently as you like and as “fast” or as slowly as you like. You will need a tank full of gas and you must book early –RIGHT NOW is ideal!! Volunteers would be helpful to assist with marshalling, directions and activities throughout the day.